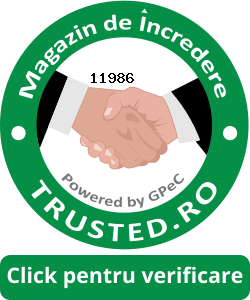 COMPOZITIE: 83%BUMBAC-12%POLIESTERA-4%NAILON-1%ELASTANA INTRETINERE: ORI DE CATE ORI SE IMPUNE PRODUSUL SE SPALA SAU SE CURATA CONFORM INSTRUCTIUNILOR INDICATE PE ETICHETA INTERIOARA. SE INTERZICE SPALAREA ARTICOLELOR DE IMBRACAMINTE LA TEMPERATURI MAI MARI DECAT CELE SPECIFICATE PE ETICHETA INTERIOARA. NU USCATI PRODUSELE PRIN EXPUNERE LA SURSELE DE CALDURA SAU AFARA IN SOARE. USCAREA SE VA FACE INTOTDEAUNA LA TEMPERATURA CAMEREI.